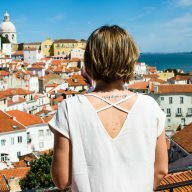 There are free places to work remotely from in Lisbon. Yes, you read that right. In the capital of Portugal, there are quiet spots that are ideal for those, who want to focus for a couple of hours. You don’t even need to buy a coffee there! 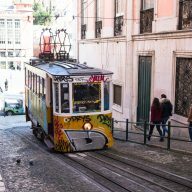 Lisbon is undoubtedly the European capital of digital nomads. Programmers, designers, copywriters and even online teachers come here to enjoy the weather, the beaches and the amazing atmosphere of the city. The infrastructure here is great and it’s ideal for those working remotely. Coworking spaces are very popular here and there are new ones being built all the time. They are very modern and provide everything what a digital nomad might need. There is no lack of coffee shops in the city either. You do need to look for them and make a bit more effort to find something nice, but it’s still possible to work from a nice spot that smells with good coffee. Personally, I am not a big fan of coworking spaces. I really like coffee shops, but those that I like the most in Lisbon are very far from where I live. I also like to have a total silence. That’s why when I found out that there are free places for working remotely in Lisbon, I was very excited. Such spots are very neat and tidy, extremely quiet and perfect to focus on your work. I’m talking about libraries here, which can be found in every corner of the city. Today I would like to introduce you to 4 of them. I have been wondering if I have ever heard a digital nomad saying: ‘the best place to work from is a library’. Everyone always recommends coffee shops and coworking spaces. It’s common to see pictures of people working on a beach, under a palm tree with a cocktail in hand. That’s very cool. Would anyone be jealous of your lifestyle if you put a photo on Instagram of you working at a table lit up with bright light, surrounded by students studying for their exams? Because no one has ever suggested working from a library before, I never got an idea to do it and didn’t consider it. Until the moment I got to Lisbon and someone told me about the libraries here. Since then I have been thinking that there’s no better place to do it. 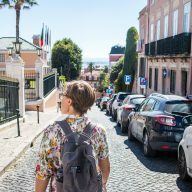 Before you get to know my favorite free places to work remotely from in Lisbon, allow me to convince you that they are the best spots for digital nomads. The libraries are very quiet. No one wants to talk to you here and you won’t have to listen to other people’s conversations. The libraries are almost like churches. Loud behavior is frown upon and total focus is recommended. You can stay as long as you want. You will only need to leave when they close. You are allowed to sit whole day, leave and come back whenever you want and no one will ask questions. 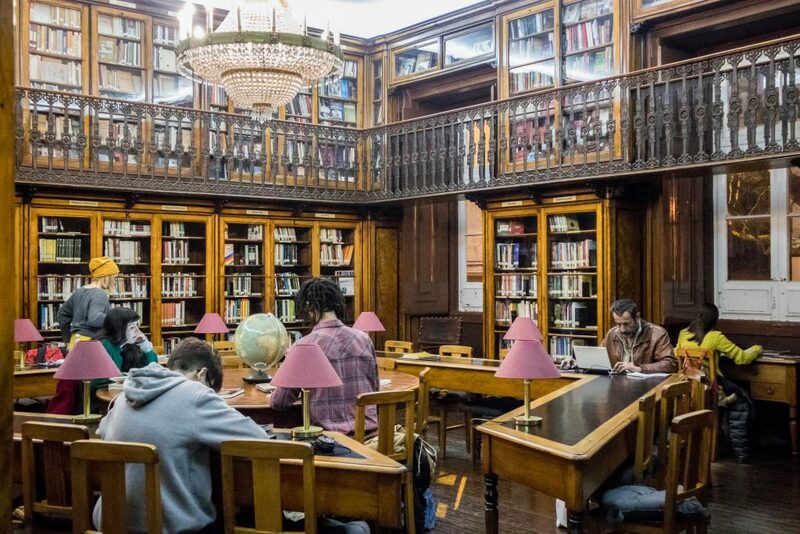 In Lisbon, everyone can use the libraries. You don’t need a card and you don’t need to register. You just simply show up, enter, sit down and work. You sit in beautiful surroundings. The libraries in Lisbon are amazing and really special. It really benefits your productivity. And everything is for free! You don’t pay an entrance fee. 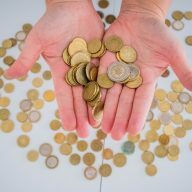 You can use the libraries in Lisbon and pay nothing! Just like anywhere else in the world, the libraries in Lisbon also have their own rules. I think it’s just common sense, but it’s worth reminding you about a couple of things. Don’t make noise. Don’t talk on the phone (just switch it off) and don’t do any Skype calls. You can listen to music on your headphones but put the volume down, so the others cannot hear it. Try not to stir, move your chair all the time and don’t chat anyone up. The access to libraries is free. You don’t need any ID to get in, but have one with you just in case. 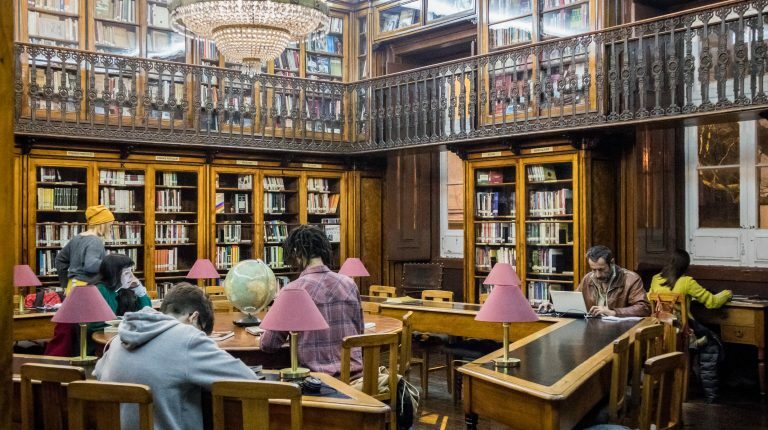 Every library in Lisbon has wi-fi. Ask the receptionist for the password. Be prepared for problems. Many people use libraries in Lisbon and the internet can be slow sometimes. A library is not a coffee shop. Food and drinks (except water) is not allowed. Don’t bring any snacks with you either. The libraries in Lisbon are spread out around the city. Almost in any part of it, you will find one. I chose 4 for you. I like these the most. Below you will find them with short descriptions. What a pleasure working here! My number 1! A beautiful place that looks like out of one of the Harry Potter movies. It was the first I visited in Lisbon and as soon as I saw it, I wanted to see more of them. Sitting at one of the tables, I couldn’t focus on work because the surroundings were so amazing. What a treasure! I thought it was an honor to work from such a place. The building is not very big and it consists of one small reading room, a library for kids and this beautiful space that you can see in the photo. During my visit there was enough space for everyone, but if there are more people you might have a problem with finding a seat. Be prepared that you will need to leave or wait for your turn to sit down. However, it’s worth coming here just to see the room. The Internet works pretty well. It’s not the fastest though, but it’s enough to answer emails and browse. Next door there is a kindergarten and during breaks, or at the end of the day, the library is quite loud. 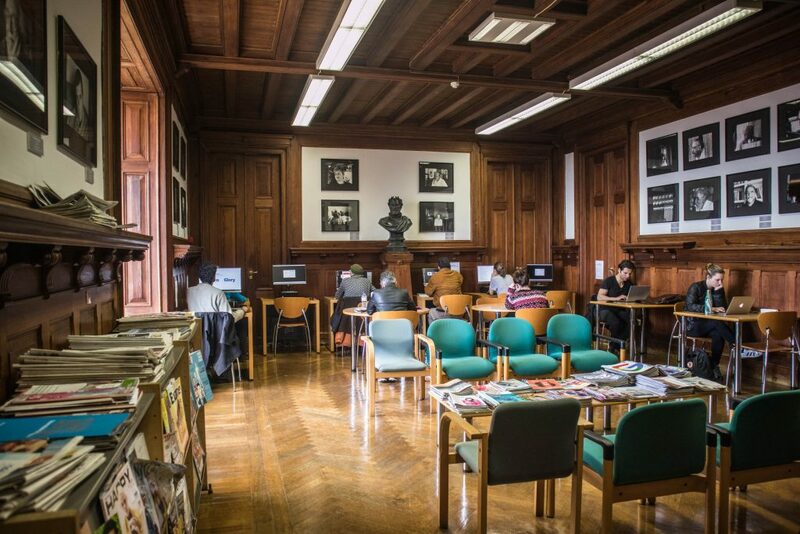 Biblioteca Camões is located in the center of the city, near the Baxa Chiado metro station. The entrance is very beautiful. Have a look at the amazing azulejos – traditional, Portuguese tiles, which are everywhere in Lisbon. The library is much larger than Biblioteca de São Làzaro. You will find 2 big rooms and a great choice of tables and chairs. Space doesn’t make such a great impression like the one I mentioned earlier, but it’s cozy and you can even sit on one of the big, comfy armchairs. The halls have big windows with a view over the river. On a sunny day, it’s really nice here. The Internet is free and fast. There are plenty of restaurants and bars around, where you can take a lunch break. The building from the outside is not that attractive, but inside it’s a great space to work. 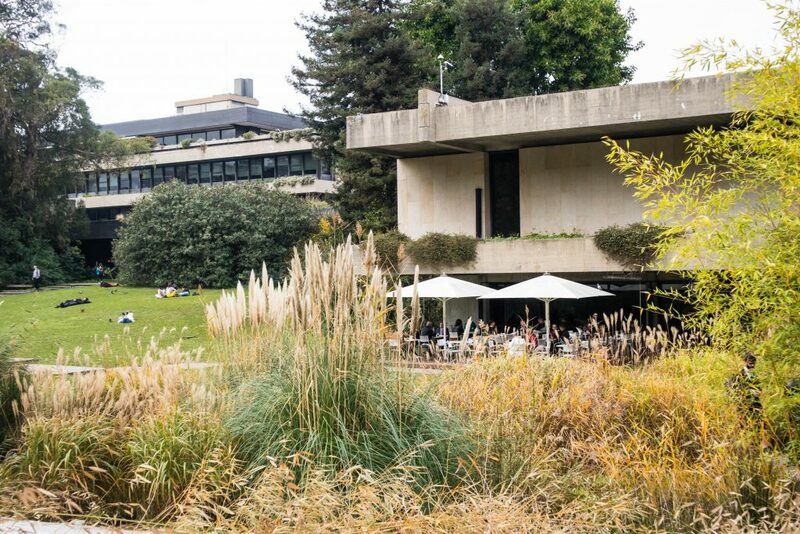 In the Gulbenkian Foundation, you will find not only the library but also a gallery and a museum. The main building is surrounded by a beautiful garden, which is perfect for relaxing on hot days. You can use the library for free without registering first. There is a nice coffee shop next door, where you can also eat lunch. The place is worth visiting even if you don’t indent working. The Library of the Republic and Resistance – it sounds serious and political. Don’t get discouraged. It’s a nice space. The library is located in the suburbs of the city, near the zoological garden. Because it’s very close to where I live, it’s one of my top 4 free places for working remotely in Lisbon. 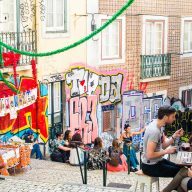 This place is recommended for those, who stay in Portugal longer and they are looking for somewhere to work without having to travel to the city center. I visit these 4 places regularly. You can see me there on Wednesdays or Saturdays when I work on my lesson plans. To me ,they are an oasis of peace and quiet, where I can focus 100% on my work, which sometimes doesn’t happen when I work in a coffee shop or at home. I recommend them to everyone, who is looking for something that’s special and would like to try out a different, unsual place to work. 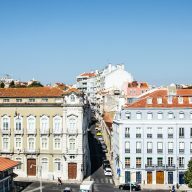 Finding long-term accommodation in Lisbon: Mission Impossible!? Previous Post: « Finding long-term accommodation in Lisbon: Mission Impossible! ?